Entrepreneurs are short on time, but the most successful ones are still usually voracious readers. Bill Gates is known to read 50 books a year, making his rate of consumption nearly one book a week. Billionaire David Rubenstein reads six books a week & eight newspapers a day. 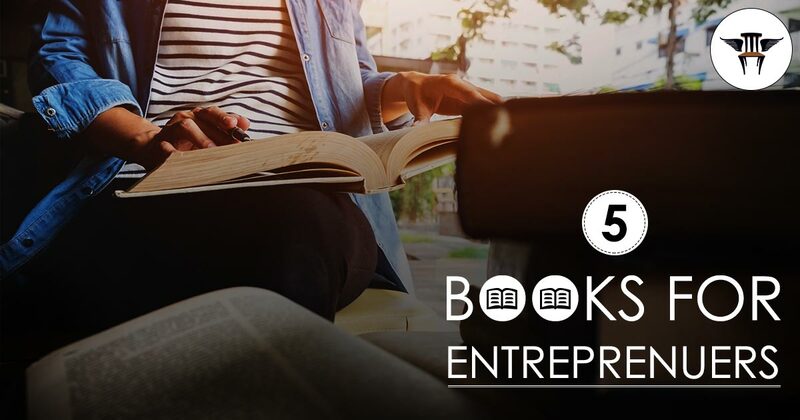 But if you can’t commit to reading dozens of books a year, commit to just this short list of five books every entrepreneur must read. Here are five of top picks to start with. The Power of Broke is for anyone looking to break those excuses for whatever is holding them back from advancing. Bootstrapping your way to success can be a viable & sustainable way to grow your empire. Daymond John built his own fashion label starting with home-sewn clothes & with almost no money; he turned around his “broke” status with innovation. The book also explores how other people took a similar approach. One entrepreneur, for instance, started a million-dollar cupcake business with the $33 balance in her bank account. Put aside your doubts over any lack of talent & ability you might feel, & pick up Angela Duckworth’s book Grit. Instead of concentrating on the idea that there’s a big secret behind outstanding success, Duckworth touts the importance of blending passion & relentless persistence, otherwise known as grit. Duckworth herself is the daughter of scientists who frequently told her that she lacked talent. Her book shows how everyday people, from cadets at West Point to finalists in National Spelling Bees, have actually succeeded through sheer passion & persistence. The trick is – Find Your Own Grit. Businesspeople celebrate the end of the dreaded 9-to-5 & are ready to dive headfirst into the world where they call the shots. The End of Jobs argues that accelerated advancements in technology & globalization are leveraging points in the accumulation of wealth & freedom. This eye-opening book will give reluctant business people the push they need, with sobering statistics on why the century-long growth in wages stopped in the 2000s, & why MBAs can’t land jobs. It’s easy to get boosted by the financial freedom and security that real estate investing can provide, but it’s harder to take the leap. The Millionaire Real Estate Investor, Gary Keller offers some good insights on deconstructing the myths that hold people back from investing in real estate. Marketing guru Seth Godin explores why the economy isn’t static, yet why people behave as if it is. In his book, Godin explores the anxiety behind failure & how we work so hard to compete without actually standing out or doing anything remarkable. In his book, Godin suggests that in order succeed, we need to work harder at taking the initiative with things that are important instead of trying so hard to just do what we’re told. The book doesn’t give a lot of theoretical advice, but it will make you question your own assumptions & challenge you to step out of the box. These five books are must read for entrepreneurs in the early stages of their business who are trying to push through distractions & insecurity. Staying persistent & focused is ultimately how entrepreneurs — like me! –work incredibly hard and with the focus to become successful.